We are your reliable & trustworthy tent hire company in Southern Suburbs. Whether you need tents for a small event or a large gathering, we strive to make sure that all your requirements are met in the best way possible. We have a wide stock of tents that come in different colours, shapes and sizes –simply tell us the theme of your event and we deliver matching tents. Make your event or function a huge success – simply call us and we will be there to help. No matter your location within Southern Suburbs, our knowledgeable team will deliver our robust tents on time. 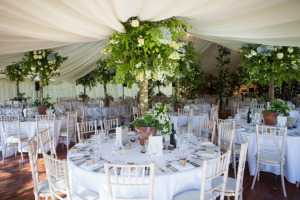 Whether you’re planning a wedding or need a tent on short notice, our tent hire company will be happy to help. Safety is a priority to us, therefore, we will ensure the highest standards are met for your occasion. We are always prepared to take on new challenges –call us today! Let our marquee hire Southern Suburbs team do all the hard work for you. Whether it is a big outdoor event that you are planning or a small birthday party in your garden, we have an appropriate solution for you. From small size gazeboes to beautiful and luxurious Bedouin tents, we are fully equipped to deck out your event in style. For a quick quote, get in touch with us today on 021 300 3641!